This is Julius, he lives in Kitega Village, about 40km from Kampala, Uganda. He was one of my photography students in November 2017, he is also now my style guru. It’s the wellies. 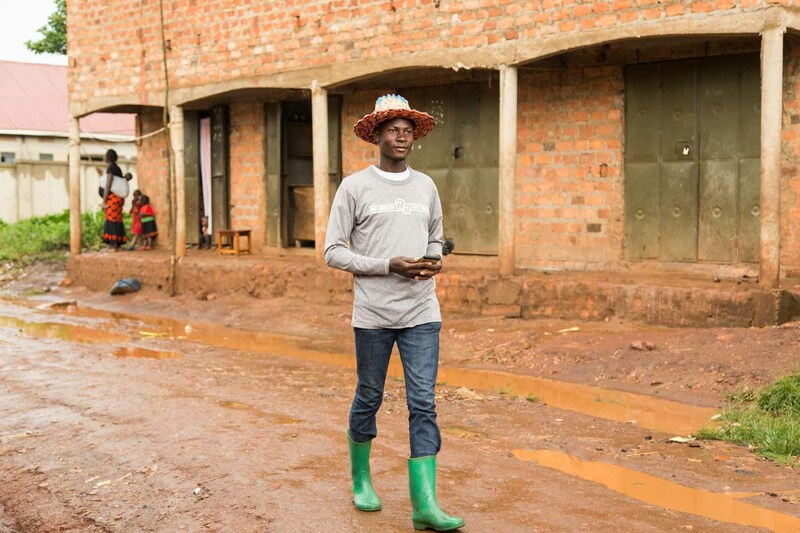 Julius is part of a ViCoBa training group, which teaches community banking, entrepreneurialism, marketing and mindset change, necessary in a country with high unemployment and even higher under employment. The median age of Uganda is 15-16, which brings advantages for a sustainable work force, but challenges for employment. ViCoBa, run by Ugandan David Clemy is training communities, mostly of under resourced women, to find or create new employment opportunities in a crowded market.